I was shocked to receive by email a sharp, even strident analysis of the Congressional vote to side with President Obama and enter the war against ISIS. Much of the analysis I agree with-imperialism, arms getting into the wrong hands, the military industrial lobby, and so forth. But former Ohio Congressman Dennis Kucinich, who sent it under cover of his own organization, has, I am afraid, fallen into a huge sinkhole. He pins his analysis of the vote, and everything that’s wrong with it, to a campaign to vote against, and to vote out of office, all those who voted for the resolution. Conveniently, he attaches a list of all who voted for and against. This is what the philosophers calls “reductio ad absurdum,” reducing an argument to such an absurd point that every larger issue is forgotten, abandoned, and lost. Kucinich is representative, alas, of a kind of ultra-left “idealism” and “perfectionism” that leads us into blind alleys, and I replied to him in protest. In that regard he’s no different from our right-wing voters who go to the polls obsessing over one thing – guns, gays, or abortion. Now, please understand, I am someone who voted for Kucinich in Democratic primaries when he was trying to secure the nomination for president. I contributed to his campaigns, and attended his speaking engagements in California, where I live. 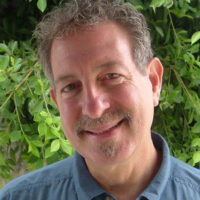 I had no illusion that he would actually become the Democratic nominee, but I wanted to encourage his progressive line of thinking, and to have his ideas enter the dialogue, perhaps forcing other candidates to take them up in the debates. Now that he’s out of office, he is unaccountable to anyone. Vote against those who voted for war? I am sorry, but disastrous and lamentable as that vote was, I will not cast my vote against Karen Bass, my very liberal Congresswoman, because of her misguided yes on war. It smacks of “single-issue” voting which, if effective in this case, would bring even more disastrous results, putting into office someone who might well vote the same way and who on a myriad of other issues would be far, far worse. 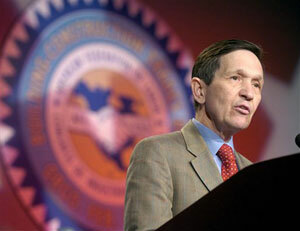 Kucinich’s proposal is punitive, unproductive, even destructive, and frankly immature. I want to wake up on November 5th with the best possible Congress we can elect on many, many issues, not just the war on ISIS. Need I spell them all out? Women’s and LGBT rights, labor, climate change, voting rights, foreign policy, education, finance reform, judicial appointments, and on and on. Expressing my rage at this one vote in such a loose, undisciplined manner is just stupid politics. That one vote is not going to dominate my every thought about what this country needs going forward. I don’t know how influential Kucinich’s voice is right now, but overnight it seems to me he has diminished his credibility. A lot of people must be thinking strategically like me: We simply cannot afford to flail about in a tantrum. What better way to isolate the antiwar community from every other progressive force in the country and make us all impotent? Voters, be smart, be realistic. Yes, vote your conscience. Hold your nose if you have to! But please consider the big picture and everything we’re up against in these critical midterm tossup elections, where turnout, turnout, turnout is the key.